Here is a recent reprocessing effort on some data collected last year. 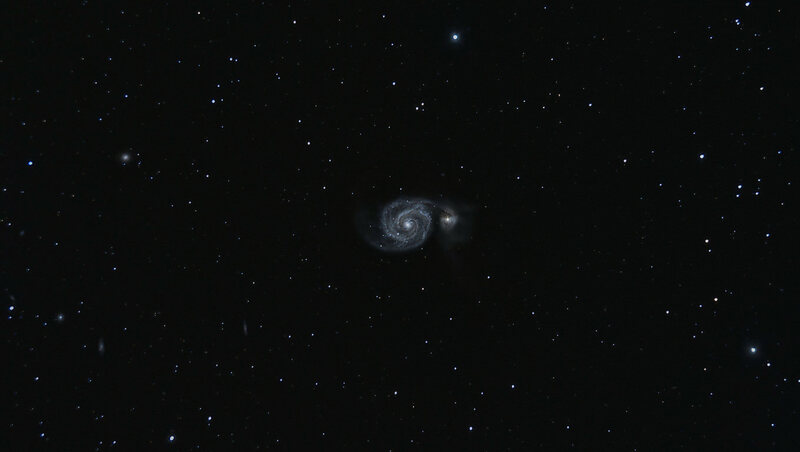 M51 is a favorite galaxy of many imagers as it contains prominent spiral arms. This image was taken without a coma corrector so the stars at the corners are slightly elongated. Click on the image to see my original attempt at processing this image, click again to return to the initial image.